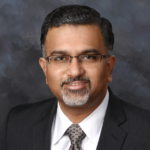 Ronojoy Ghosh has joined Paradigm Precision in June, 2016 as the VP of Business Development for Corporate operations. Ronojoy comes to Paradigm with over 10 years of experience in the aerospace industry and manufacturing. Most recently, he spent 5 years with UTC Aerospace Systems based in Rockford, IL. While at UTC, he worked as General Manager responsible for the Global Engine Systems, Aero Nozzles and Aero Blades & Vanes business units. He also drove key M&A activity to rationalize core/non-core businesses and footprint. In addition, he was responsible for UTAS-wide customer relationship management with GE/Rolls-Royce/Honeywell/Snecma as UTAS customer focal. Before UTAS, Ronojoy was with McKinsey & Company, advising clients on business growth, market penetration strategy and operations transformation efforts at leading industrial manufacturing, basic materials, telecommunications, chemicals and automotive companies. Ronojoy earned a PhD and Master’s degree in Aeronautics and Astronautics from Stanford University in Stanford, California. He also holds a Bachelors of Technology degree in Aerospace Engineering from the Indian Institute of Technology in Kharagpur, India.